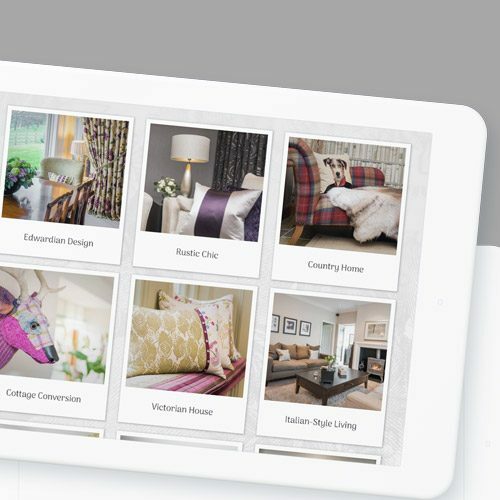 We developed a new digital brand and website for CR Interiors that brought their business to life online, with a 90% increase in search visibility in just two months. CR Interiors is a successful interior design studio based in Mirfield, West Yorkshire, not too far from us over in Huddersfield. Originally beginning as a curtain specialist, Karen and her team have developed the business a great deal over 20 years – they now offer a full range of interior design services, and are well known in the area (and around the UK!) for their impeccable style, knowledge, and creative flair. While the showroom is still a huge part of CR Interiors’ business and identity, and the studio’s services spread very well by word of mouth, competitors were having a much easier time attracting business online. Why? Well, CR Interiors’ website definitely didn’t do them justice – it was more than a few years old, had about five pages, very few images, and said very little about what they did. A business with such an emphasis on perfect style and aesthetics needs a web presence to match – so they came to us to find it. 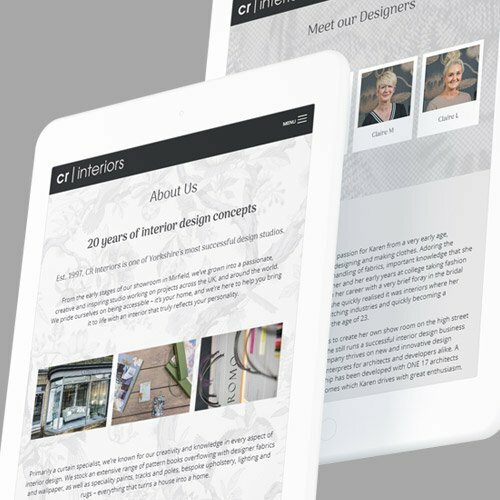 The first step in planning the website redesign was finding out what CR Interiors wanted from their new website, and how they wanted their brand to come across online. Some businesses come to us with a fully-formed idea of what they want to look like online, whereas others, like CR, just know they need something new – so we visited them in their showroom for arguably our most well-appointed meeting yet. Our visit helped us to get a first-hand understanding of why CR Interiors’ customers choose them, and how they present themselves in their showroom. By discussing their design preferences, brands they like, and how they interact with their clients, we were able to begin transferring their physical style into a digital brand. When it came to the site design, we knew that large images of the studio’s many designs would be the main feature, so the homepage is dominated by a full-screen image slider. We settled on a bold and simple sidebar navigation so the site is always easy to move around, without distracting from the images. A subtle expanding section allows users to dig deeper into the services offered by CR Interiors very easily. Blocks of neutral colour are used throughout the website, accented with subtle wallpaper-style patterns, with parallax scrolling used to transition between the two. Very subtle animations are used elsewhere to bring the site to life. Splashes of colour come from the imagery, a great deal of which was personally selected by Karen at CR – as you might imagine for a fellow designer, she was very hands-on in how she wanted her website to look, which meant we were able to work together to bring her unique style to life really effectively. 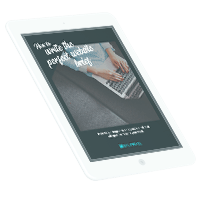 Much like the design, copywriting for the site was very collaborative with the client – they’ve built their reputation on their design expertise, and it was essential that this came through in the website. CR sent over brief synopses of each service they offer, and a selection of portfolio pieces, which we then expanded upon using the knowledge we’d gained from our initial studio visit, optimising for search wherever possible based on our keyword research. They were then able to tweak our content to make sure the design terms were exactly how they wanted them. The site is built in WordPress, with a full easy-to-use CMS, so the CR Interiors team can add blogs, update their portfolio, and change the site as design trends develop. Contact forms mean the site can receive enquiries and generate leads, and we’ve also added the option for better social media integration in the future – the CR team are always busy, but when they find the time to develop their Pinterest and Instagram presence, they’ll be able to emphasise this on the site quite easily. We’ll be continuing to support CR Interiors with any maintenance needs they have, and have also provided the team with a blog plan based on the initial keyword research done for the site content so they can keep up an active blogging presence. All in all, we’re very happy with the site. It’s simple and minimal, but effective, with a lot of interesting little design touches – just like a CR Interiors home!